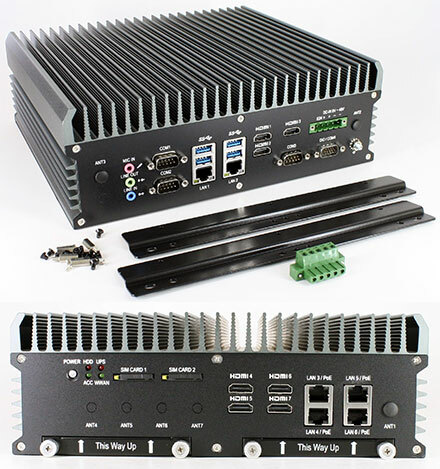 3x RS232/422/485, 4x digital In/Out and 4xUSB3.0 allow maximum connectivity. 7x HDMI connectors allow the connection of a variety of displays. The integrated graphics unit supports DirectX12, OpenGL4.5 and OpenCL2.0.